< Why Does Time Exist? It's the TED Radio Hour from NPR. I'm Guy Raz. And on the show today - shifting time; why time can feel different at 4 a.m. from one decade to the next and why time can definitely feel different to a physicist. SEAN CARROLL: To a physicist, time is a label on the universe. RAZ: Sean Carroll is a theoretical physicist. RAZ: And physicists like Sean think about time very differently from you and me. CARROLL: To a physicist, the universe is this thing, it's full of stuff, and it keeps happening over and over again. And this goes back to, you know, ancient astronomers. The Earth revolves around the sun, and it rotates around its axis 365 times. So the universe is filled with repetitive, cyclic moments, and time is just the label on those different moments. RAZ: Those labels - one day, one month, one year - make up what Sean and other physicists call the arrow of time, meaning that time travels in one direction. That's why you were younger in the past, while you'll be older in the future, why you remember one and not the other. But here's the problem. That difference between past and future is nowhere to be found in the laws of physics because in physics, there is no arrow of time. CARROLL: When modern physics came to be from people like Galileo and Newton up through Einstein, we realized something very gradually, which is that the deep down laws of physics don't distinguish between the past and the future. They treat them completely symmetrically as if they were just replaceable with each other. So as a physicist, there's almost more work to be done in understanding why time works the way it does than as a person on the street because you have to reconcile the fact that there is a difference between past and future with the fact that that difference doesn't appear anywhere in your fundamental equations. RAZ: In the laws of physics, there is no intrinsic difference between the past and the future. CARROLL: That is exactly right. RAZ: Which theoretically means what? CARROLL: So if you think about time going from the far, far, far past - let's say the Big Bang was not the beginning. Let's say there was sort of an infinite amount of time before the Big Bang, and there's an infinite amount of time after the present moment. It's possible there are regions of the universe where their notion of past and future are backwards compared to ours, where they call the past what we call the future and vice versa. That's completely allowed because the underlying laws of physics don't distinguish. RAZ: Sean Carroll described what this strange fact of physics might mean for our everyday idea of time and our place in the universe from the TED stage. CARROLL: The universe is really big. We live in a galaxy, the Milky Way galaxy. There are about 100 billion stars in the Milky Way galaxy. There are approximately 100 billion galaxies in the observable universe. One hundred billion is the only number you need to know. The age of the universe between now and the Big Bang is 100 billion in dog years. CARROLL: Which tells you something about our place in the universe. But we would also like to understand it. As a cosmologist, I want to ask why is the universe like this? One big clue we have is that the universe is changing with time. If you looked at one of these galaxies and measured its velocity, it would be moving away from you. And if you look at a galaxy even further away, it would be moving away faster so we say the universe is expanding. What that means, of course, is that in the past, things were closer together. In the past, the universe was more dense and it was also hotter. If you squeeze things together, the temperature goes up. That kind of makes sense to us. The thing that doesn't make sense to us as much is that the universe, at early times near the Big Bang, was also very, very smooth. At early times, those hundred billion galaxies were squeezed closer together. And you have to imagine doing that squeezing without any imperfections, without any little spots where there were a few more atoms than somewhere else 'cause if there had been, they would've collapsed under the gravitational pull into a huge black hole. Keeping the universe very, very smooth at early times is not easy. It's a delicate arrangement. It's a clue that the early universe is not chosen randomly. There is something that made it that way. We would like to know what. RAZ: Which brings us back to time. Physicists use a special term to describe that early state of the universe when everything was delicately arranged. It's called low entropy. And entropy basically means disorder. So low entropy is a state of order where everything is organized. CARROLL: Well, the thing about order versus disorder is there are many more ways to be disorderly than to be orderly. That's why if you sort of clean your room, it's not surprising that it gets messier over time. There's more ways to be messy than clean. RAZ: You can actually look that one up in any physics book. It's the second law of thermodynamics - entropy, disorder, it's always increasing. And whether you realize it or not, this law plays out all around you in everyday moments. CARROLL: Like breaking an egg, mixing cream into coffee or diving into a swimming pool and getting a big splash. But you make a movie of that and play it backwards, you instantly know that something is going on where entropy is going down, and that's weird. RAZ: OK. So what's the connection between entropy and this idea of the arrow of time - like of time having a direction. CARROLL: Well, that's a great question because time would exist with or without entropy, just like space exists even though there's no arrow of space. If you're out there in your space suit, there's no difference between up and down, left and right. RAZ: You have no idea what - right, it's all the same. CARROLL: But there's still space. No one says, oh, space doesn't exist just because there's no direction to it. So entropy gives time a direction, but time exists whether or not there's entropy. And in our universe, at one end of time, the entropy was low and we called that the past. And the other end of time, the entropy is high, and we call that the future. The part that we don't understand is why the early universe had a low entropy. That's a real puzzle that we're still struggling with today. RAZ: If there was low entropy at the beginning, if there was order, could it suggest that there was something that intended it to be that way? CARROLL: It could be. If you ask a question like that, the answer is yeah, it could be. There's many things that are possible. That's certainly something that people have thought about. There's something called the teleological argument or the argument from design for the existence of a supernatural creator that says that, you know, features of our universe, if they were very different, wouldn't have allowed for us human beings to exist. But the early universe, interestingly, the problem is not just it was quite orderly, but it was really way more orderly than it needed to be for us to be here. CARROLL: If you really want to make this argument that the universe is set up to allow for the existence of life or humanity or something like that, the early universe is overkill. So it seems that whatever the explanation is for why the early universe has the features it does, that's not a really good one. We need something to explain why it is so exquisitely low entropy - so many particles in such a very, very specific state. And, as physicists, we have theories - you know, we don't know which one is right - its early times as far as this big question kind of thinking goes. But it's not hard to imagine that we'll get a good physics explanation rather than reaching for something beyond the physical world. RAZ: And if physicists come up with that explanation, they might also be able to answer all kinds of questions about the arrow of time. CARROLL: Questions like, is time continuous or discrete? Is there a shortest possible interval of time or is time completely smooth? Is time something that everyone would agree is an absolutely crucial part of our best description of the universe or is time something that emerges as an approximation if we look at the universe in a right way? RAZ: OK, to most of us, do those questions sound insane? Yes. CARROLL: But these are all questions that a physicist wants to know the answer to. RAZ: But how to answer those questions is a problem that is only getting more complicated. CARROLL: The reason the problem has gotten worse rather than better is because in 1998 we learned something crucial about the universe that we didn't know before. We learned that it's accelerating. The universe is not only expanding - if you look at that galaxy, it's moving away - you come back a billion years later and look at it again, it will be moving away faster. Individual galaxies are speeding away from us faster and faster, so we say the universe is accelerating. Unlike the low entropy of the early universe, even though we don't know the answer for this, we at least have a good theory that can explain it, and if that theory is right, then that's the theory of dark energy. It's just the idea that empty space, itself, has energy. And every little cubic centimeter of space, whether or not there's stuff - whether or not there's particles, matter, radiation or whatever - there is still energy even in the space itself. And this energy, according to Einstein, exerts a push on the universe. It is a perpetual impulse that pushes galaxies apart from each other because dark energy, unlike matter or radiation, does not dilute away as the universe expands. The amount of energy in each cubic centimeter remains the same even as the universe gets bigger and bigger. This has crucial implications for what the universe is going to do in the future. For one thing, the universe will expand forever. Back when I was your age, we didn't know what the universe was going to do. We thought - some people thought that the universe would re-collapse in the future. Einstein was fond of this idea. But, if there's dark energy and the dark energy does not go away, the universe is just going to keep expanding forever and ever and ever - 14 billion years in the past, 100 billion dog years - but an infinite number of years into the future. RAZ: So, did time exist before the Big Bang? CARROLL: We don't know. That's an open question. I think we should be very humble about what we don't know. We should be very, you know, happy about what we do know and not hide it. But there you have a question that we just don't know the answer. RAZ: Isn't that crazy? I mean, it's not crazy that we don't know, but it's crazy that - to think about that question, to just imagine. CARROLL: I think it's amazing that we can ask the question. CARROLL: A hundred years ago, we didn't even know the universe was expanding, you know. The Big Bang model was put together in the 1920s. RAZ: So, before that time, we used to think that space was static and that time was static? CARROLL: Well, we used to think that space was static and that time just flowed from past to future. That's just what it was. It was one thing - you know, if Newton had been correct, then time and space are separate and each absolute in their own rights. When Einstein comes along, he realizes that space and time are connected to each other and also that space-time has a dynamical nature - that it can change. It can be warped, it can be curved. And we experience that curvature as gravity, so we know it's there. So, in your brain, you can imagine scenarios where you're warping space and time into each other so much that you hop in your rocket ship, and you zoom out for a trip, and you zip around a black hole, and you come back before you left - you actually visit yourself in the past. We can imagine this - that's like telling a story about it. We don't think it's something that actually happens in the real world. RAZ: But we can see the past in some ways. Like, you look up at a star four light-years away, and you're seeing the light from that star as it was four years ago. CARROLL: Yes, but remember, when you're looking at your spouse across the table, you're also looking at the past. RAZ: Yes. All the time. CARROLL: By a little bit. RAZ: Everything we've talked about in this conversation is the past. We cannot go back. CARROLL: It's true and, in fact, if you go into the psychology-neuroscience of it, what you are currently experiencing as the moment now, is about 80 milliseconds in the past because it takes time for your brain to put together all the data that it's receiving and construct a conscious you. RAZ: It's all slipping through my fingers. CARROLL: (Laughter) This is - one of the interesting features of our universe is that as closely related as time and space are to each other, they are different. And one of the differences is that there's three different directions of space and there's only one of time. So time is something that you experience once and for all - every moment you get to go through once. And you don't get to turn left through yesterday and visit it again. RAZ: It's like it's - there's always a clock ticking, you know. CARROLL: That's right. You know, this goes back to entropy increasing and the fact that the universe is becoming more and more disorderly over time. Because if the early universe were not in this very special orderly, low-entropy state - if it were - what we would think of as, sort of, more randomly chosen and high disorder, then nothing would happen. There'd be no ant colonies, there'd be no cells, there's be no human beings. We would be in what we call equilibrium. The universe would be a dead, unchanging static place. The only thing any - the only reason anything happens in the universe, the only reason why there is this emergent complexity as time goes on is because the early universe was really, really, really ordered, and we are sort of the tiny little spinoffs - the epiphenomena of the universe as it becomes more and more disorderly. CARROLL: Life, itself, depends on the arrow of time. We would not be able process information, metabolize, walk and talk if we lived in thermal equilibrium. So, if you imagine a very, very big universe - an infinitely big universe - with randomly-bumping-into-each-other particles, there will occasionally be small fluctuations in the lower entropy states and they relax back. But there will also be large fluctuations. Occasionally, you will make a planet or a star or a galaxy or 100 billion galaxies. So, here's two questions for you - number one, if the universe lasts for 10 to the 10 to the 120 years, why are we born in the first 14 billion years of it, in the warm comfortable afterglow of the Big Bang? Why aren't we in empty space? I don't actually know the answer. I'm going to give you my favorite scenario. Either it's just like that - there is no explanation. This a brute fact about the universe that you should learn to accept and stop asking questions. CARROLL: Or maybe the Big Bang is not the beginning of the universe. An egg - an unbroken egg - is a low entropy configuration and yet, when we open our refrigerator, we do not go, ha, how surprising to find this low entropy configuration in our refrigerator. That's because an egg is not a closed system - it comes out of a chicken. Maybe the universe comes out of a universal chicken. CARROLL: Maybe there is something that naturally, through the growth of the laws of physics, gives rise to universe like ours in low-entropy configurations. If that's true, it would happen more than once. We would be part of a much bigger multiverse. That's my favorite scenario. Maybe our universe is just one of those things that happens from time to time. Thank you. RAZ: Sean Carroll is a professor at CalTech. His book about time is called "From Eternity To Here." You can find his entire talk at ted.com. WILLIE DIXON: Everything's got a time. Everything's got a time. Everything's got a time. From start to end. Somebody tell me where time begins. Please tell me the time. Tell me the time of day. Must I go? Tell me, must I stay? There's a time for eat, and there's a time to drink, a time to act and a time to think, a time to save and a time to spend, a time to start and a time to end. Please tell me the time. RAZ: Hey, thanks for listening to our show this week about shifting time. Our production staff at NPR includes Jeff Rogers, Brent Bachman, Megan Kane (ph), Neva Grant and Janae West (ph) with help from Daniel Shuken (ph), our intern is Sharif Youssef (ph). Our partners at TED include Chris Anderson, June Cohen, Darren Trif (ph) and Janet Lee. If you want to let us know what you think about our show, you can find us on Twitter or Facebook. You can email us at tedradiohour@npr.org. 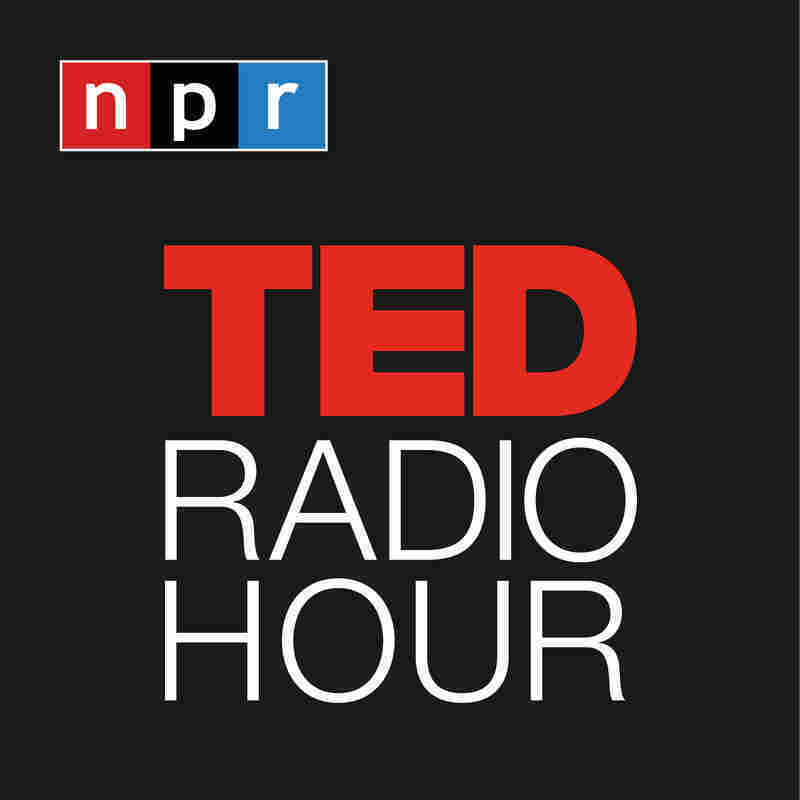 I'm Guy Raz, and you've been listening to Ideas Worth Spreading on the TED Radio Hour from NPR.